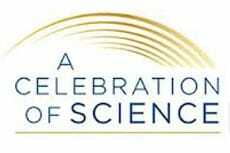 For a weekend in Washington, DC, “Celebration of Science” convened academic, pharmaceutical, biotech, and governmental leaders to share prominent scientific advances. NYSCF CEO Susan L. Solomon was a part of a paneled discussion, Patient Groups and the Drug Discovery Process, that honed in on the role of patients as power brokers in the drug industry. Solomon engaged with fellow panelists, revealing how NYSCF represents the interests of patients with devastating diseases by utilizing stem cells in the NYSCF laboratory for drug discovery initiatives.